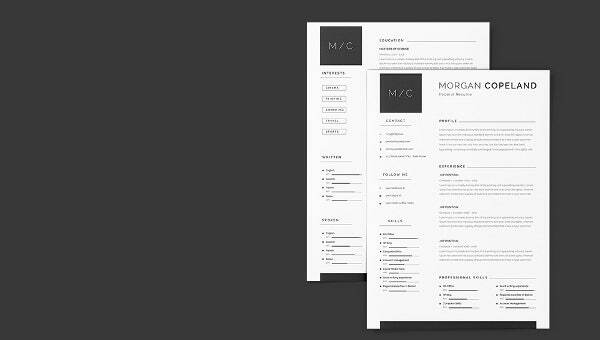 If you need to come up with an elaborate Resume Template where you can be detailed about your education, skills and experience, this template with its 2-page resume would be just the thing for you. You can even include your references and achievements or awards in the template. Further there are separate sections for skills and the box format for your interests create a neat outlook overall. Moreover, the resume will enable you to add your spoken and written level in different languages. The resume here is especially for an accomplished federal professional. 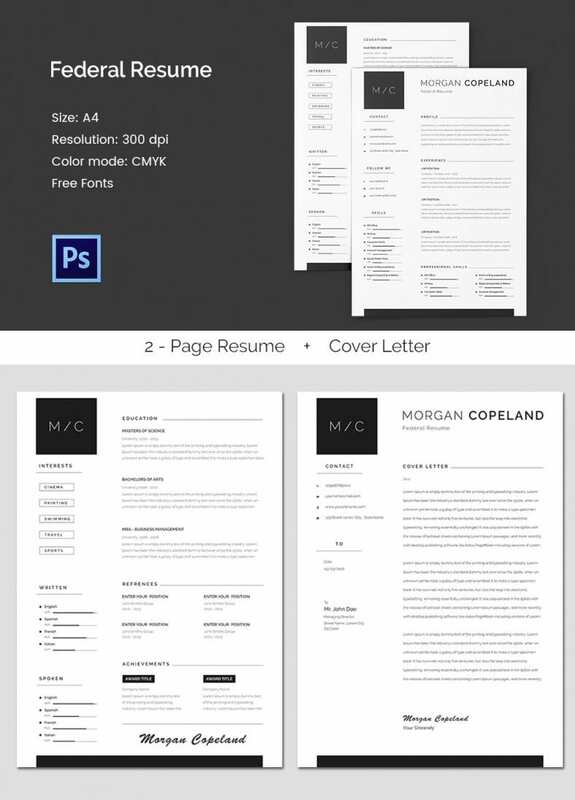 Last but not the least, there is a professional cover letter mockup along with the resume template.